At Titan, we have the tooling and expertise to accurately reproduce any worm and gear set for elevator and escalator geared traction equipment. 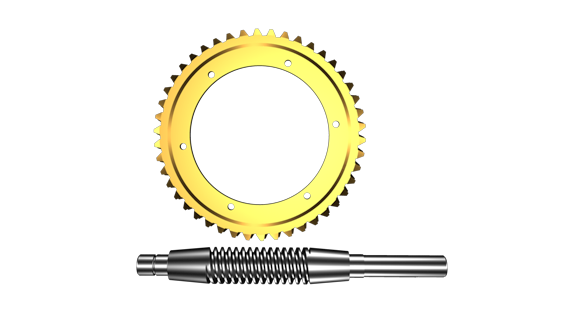 Our typical lead times for new replacement worm and gears is 10-12 business days and because of our high volume we frequently have the more popular OEM sets in stock. In the event that a finished set or casting isn’t in our inventory, we have amassed hundreds of patterns for nearly every OEM design including rare or presumably obsolete machines. Having this pattern library allows us to work with our local bronze foundry to expedite your orders. Our processes include CNC thread and cylindrical grinding which ensures your gear set will have a longer service life than most original manufacturers design and it’s a standard that far exceeds our competitors offerings. With our worm and gear replacement sets you can trust that your geared equipment will be up and running faster and at a lower cost than expensive machine replacements.